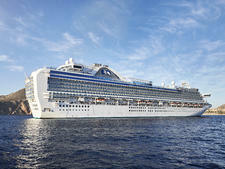 Slated for delivery in October 2019, Princess Cruises' fourth Royal-class ship will be modeled after its fleetmates: Royal Princess, Regal Princess and Majestic Princess. 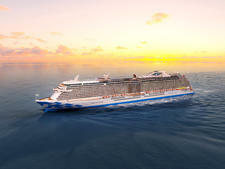 The 3,560-passenger Sky Princess will feature fleetwide staples such as the multistory Piazza atrium, adults-only Sanctuary and Movies Under the Stars concept, as well as a number of Royal-class features like the Princess Live TV studio. 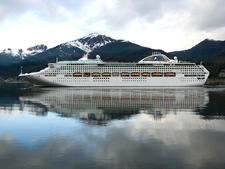 Unlike its sister ships, Sky Princess will not have a SeaWalk walkway. 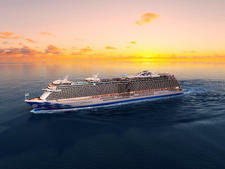 This ship is also expected to introduce a number of "new-to-the-line" features, including the Take Five jazz lounge and the line's new suite category, Sky Class. 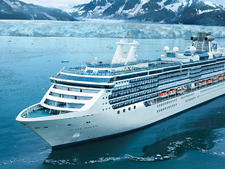 Sky Princess will feature a new suite category called Sky Suites. Located at the top of the ship, the suites will feature 270-degree views, plus occupants will be able to watch the ship's Movies Under the Stars without leaving their room. Sky Suites will hold up to five people and offer the largest balconies in the Princess fleet: 947 square feet for the portside (left hand) Sky Suite and 1,012 square feet for the starboard (right hand) Sky Suite. 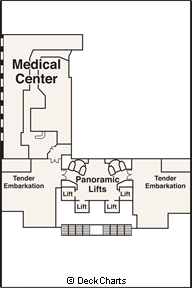 The suites will feature two bedrooms, two bathrooms and a dining area with a sky light. 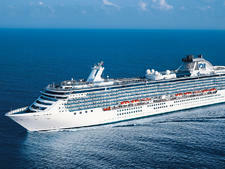 Cruisers staying in a Sky Suite will have access to a pre-cruise, shoreside concierge; once onboard, they can enjoy Sanctuary services on their balcony, a private suite experience manager, complimentary access to the Lotus Spa's Enclave, enhanced ultimate balcony dining and a deluxe telescope for stargazing. More exclusive Sky Suites services will be announced in the coming months. 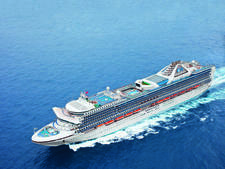 Sky Princess' main pool deck will have two pools and more hot tubs (including two cantilevered over the pools) than other Royal-class ships, while the reimagined Sanctary will have twice as many cabanas. A third pool, the Wakeview Pool, will be located at the back of the ship, while a fourth pool, the Retreat Pool, will be for adults only. 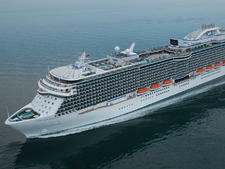 Dining options will include a mix of restaurants familiar to past Princess passengers, as well as venues that first debuted on the line's Asia-based Majestic Princess and one new quick-bite spot. Alfredo's Pizzeria: The line's popular pizza joint. World Fresh Marketplace: The ship's buffet, which features a wide variety of standalone food stations, making it much easier -- and quicker -- to navigate. Salty Dog Grill: The ship's gourmet poolside grill offers several choices of burgers, hot dogs, tacos and, of course, loaded fries. All are free except the $5 "Ernesto" burger. International Cafe: Located in the atrium, the International Cafe is a great spot to grab a small bite to go. Options include sandwiches, soup, quiches, salads, pastries and more. La Mer: Created in partnership with 3-Michelin star chef Emmanuel Renault, this restaurant first debuted on Majestic Princess. It offers French bistro-style fare for an extra fee. Crown Grill: The line's signature steakhouse, Crown Grill features an array of chops, seafood and steaks served from a theater-style kitchen. Sabatini's Italian Trattoria: From the mind of Los Angeles-based chef Angelo Auriana, whose restaurants The Factory Kitchen and officine BRERA regularly rank among the best in L.A., this eatery serves up popular northern Italian dishes with made-from-scratch pasta. Princess Live Cafe: A new space onboard, this cafe, located in the Princess Live studio, will serve barista-made coffees, teas and quick bites. Ocean Terrace Seafood Bar: Also new, this raw bar will serve up a flight of oyster shooters, sushi and sashimi, ahi tuna poke, king crab cocktail and much more at a la carte pricing. As for the bar scene, passengers can enjoy everything from beer and whiskey at the British-style Wheelhouse Pub to fine wine at Vines. 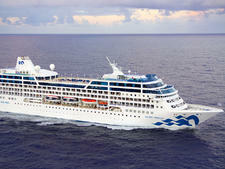 New on Sky Princess will be the Take Five jazz club. 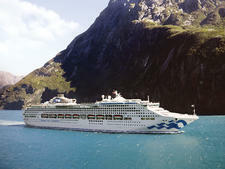 In the main theater, the ship will be home to two all-new fullscale musical productions. 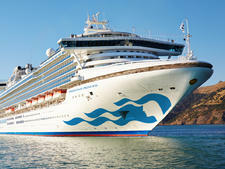 Sky Princess will debut in the Mediterranean in October 2019 with 10 cruise departures on eight itineraries. 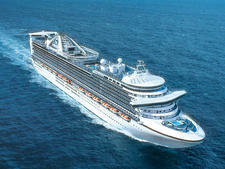 The first sailing will be a seven-night Mediterranean and Adriatic cruise sailing from Athens (Piraeus) to Barcelona. 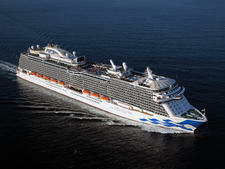 From Barcelona, the ship will sail a seven-night cruise to Rome. 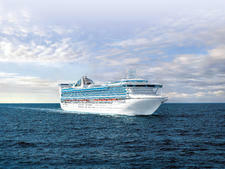 A seven-night roundtrip cruise out of Rome follows, before the ship sails back to Barcelona on another weeklong cruise. All can be combined for 14-, 21- or 28-day journeys. 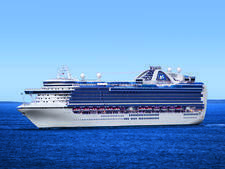 Sky Princess will deparrt from Barcelona on a two-week transatlantic sailing with stops in Valencia, Malaga, Seville (Cadiz), Lisbon and Madeira before arriving in its new homeport of Fort Lauderdale. 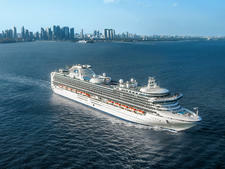 The ship will arrive in Fort Lauderdale in early December, embarking on its maiden Caribbean season December 4, 2019 for a three-night sailing. 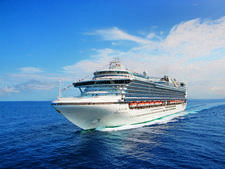 The ship will then sail alternating seven-night Eastern and Western Caribbean itineraries from December 7, 2019 to April 4, 2020. 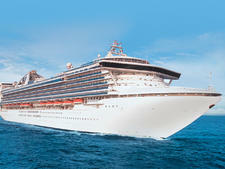 A unique feature of the itineraries is that every port call to St. Thomas and Cozumel will offer late-night stays.